It was only meant to be up for twenty-four hours. Had absolutely not considered that when the promo (and description) said the words "for the whole day" or that the entire event was called "Brick Friday." ...but, uh, in any case, thank you for catching me on that one. 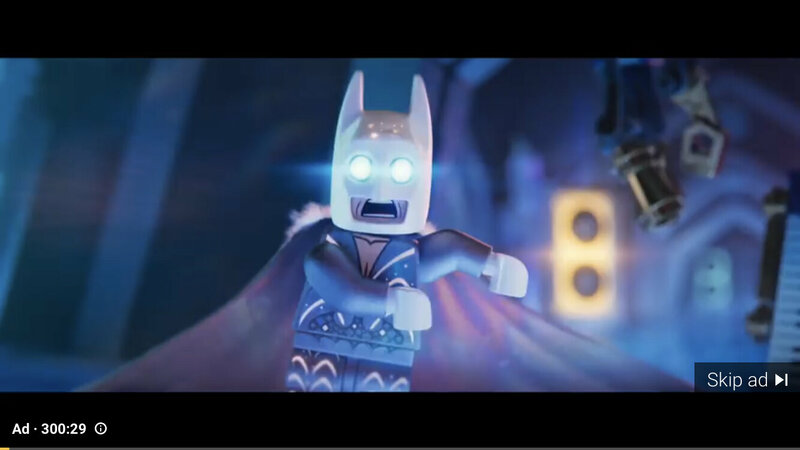 I just got a 300 minute ad for this movie. It appears to be their new “Catchy Song” on loop. It's not catchy at all, either. No idea. It seemed like a loop. This was probably already covered but is that old teal making a comeback in the new sets? The teal is making a comeback, though I wouldn't say it's old necessarily. Also, i wonder if anyone has heard the full version of "Catchy Song"
huh? what about them is Spoilery? @LegoDavid wait, what's a spoiler about these songs? Isn't it coming out in like a week? I'd rather wait to watch the movie rather than listen to the song before I watch the movie. But that is just me though. But like, most of these songs are in the trailers. Well I just saw it and it was fun. Not spectacular but good. I especially liked the plot twist near the end of the movie. The references were great There was a cameo by some particularly ugly animal figures I loved. Don't tell me spoilers but just tell me this: Were the refrences only to other movies or were there refrences to original themes like in the first LEGO Movie?